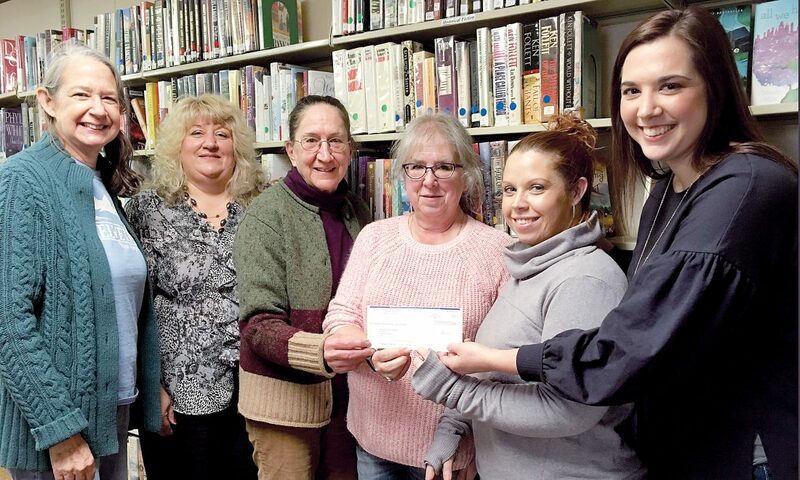 Submitted photo Mary Baker, far right, the HR director at Carter Roag Coal Company, presents a generous donation to the Helvetia Public Library. From left are library board members Heidi Arnett, Christine Long, Betty Biggs and Sharon Rollins, librarian, Jerianne Davis and Baker. Helvetia is grateful for the longstanding presence of CRCC, officials said.